India's most Wanted first poster: Last seen in Parineeti Chopra starrer Namastey England, Arjun Kapoor is back with a different role. In a Fox Star Studios presentation, the actor will be playing an intense role and the makers have released its first poster today. 2 states the actor took to his official Instagram account to share the first glimpse of his movie and left fans awestruck. 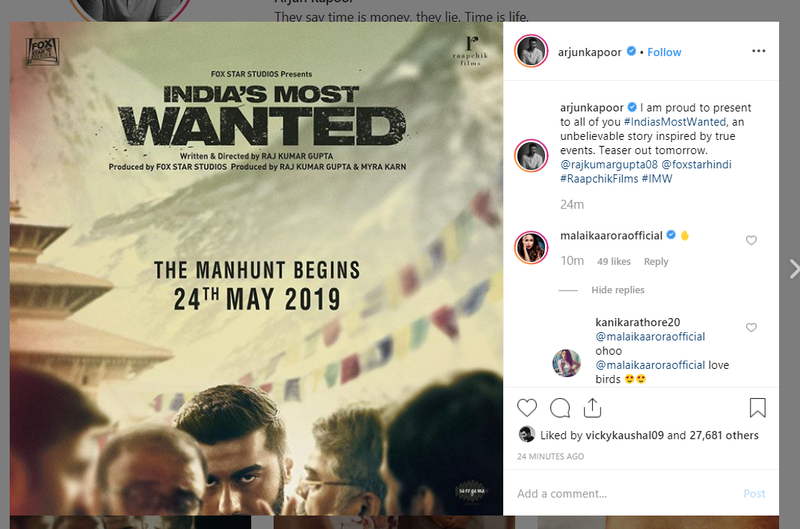 India’s most Wanted first poster: Bollywood actor Arjun Kapoor has been topping headlines these days for a number of marriage rumours floating on the internet. While social media is flooded with the Malaika Arora-Arjun Kapoor wedding rumours, the actor shared a glimpse of his upcoming big project. Arjun Kapoor will soon be seen in a Fox Star Studios presentation titled as India’s Most Wanted. 2 states the actor took to his official Instagram account to share the first glimpse of his movie and left fans awestruck. 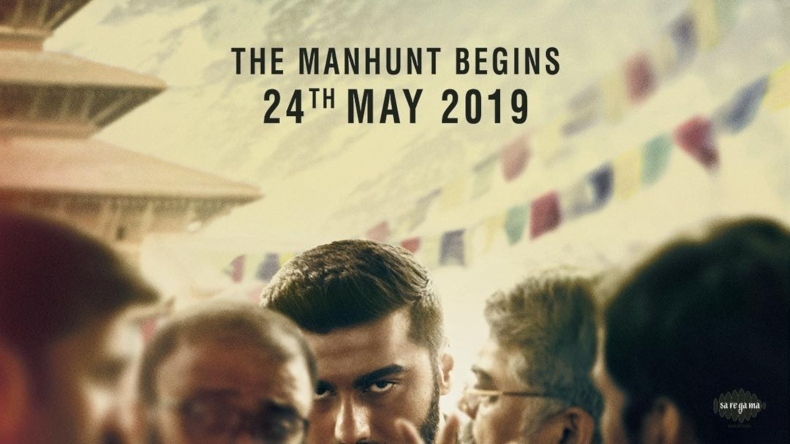 Sharing the first poster on India’s Most Wanted, Arjun Kapoor introduced fans to his character and storyline and said that it is an unbelievable story inspired by true events. Treating fans with the good news, Arjun Kapoor said that the teaser for the movie will be out tomorrow. Leaving everyone in anticipation, Arjun Kapoor made the announcement for the release of the teaser. In the poster, Arjun Kapoor can be seen in an intense avatar. The actor is giving a deep stare with an powerful expression. The film is directed and written by Raj Kumar Gupta and is produced by Fox Star Studios, Raj Kumar Gupta and Myra Karn. All set to release on May 24, 2019, the Arjun Kapoor starrer looked quite promising. Soon after he posted the photo, fans started flooding the comment section with excitement. Audience are wishing Arjun Kapoor best of luck on the comment section and appreciating his look for the movie. Well, not just the die-hard Arjun Kapoor fans, even rumoured girlfriend Malaika Arora also commented on the photo. The dancing queen of Bollywood made an emoticon of fire and motivated Arjun for his upcoming project. Well, the PDA of Arjun and Malaika have been in news headlines for a while now. The actors now come up publically to back up each other and offer support on the career front. There have been rumours that Malaika Arora and Arjun Kapoor will soon be tying knots in a Christian wedding. The couple is often seen having a gala time together and now fans are waiting for the official announcement.